A church steward is responsible for the day-to-day running of the church and the development of future strategy. Martin became a Christian in his teens. He is ‘Essex’ born and bred and, with his wife Sue, moved to Billericay 45 years ago and they joined the Methodist church shortly afterwards. Martin and Sue have two daughters and sons in law and four grandchildren. 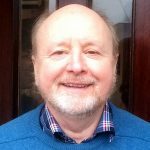 A retired accountant, Martin has served twice as Church Treasurer and has just started a second term as a Church Steward. He has also been a Circuit Steward. 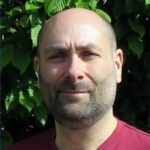 Martin enjoys his family, travelling and watching sport, especially snooker, athletics and football. 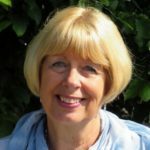 Elizabeth grew up learning about God and the Bible, as the years have passed she now knows God as her Saviour and Jesus as her friend, trusting in Him implicitly. Elizabeth spends her days Visiting and Caring for others, when & where needed. Leonie became a Christian when she was a teenager in Perth, Western Australia. 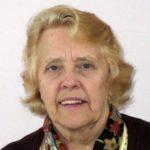 She and her English husband, Geoff worshipped for many years in small village church in Linford, Thurrock and she taught for 20 years in the infant department in Tilbury. Leonie is now a widow and has a son and a daughter and five grandchildren and has lived in Billericay for five years. 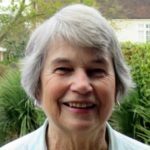 She is a chaplaincy volunteer at Basildon Hospital which she finds both challenging and rewarding, and is also an active member of the local U3A. She became a steward in 2016. 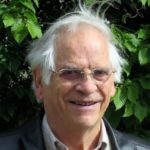 Rex grew up in Worthing where he became a Christian in his early teens and playing the organ for church services. After graduating he moved to Upminster and then to Billericay prior to retirement. He has three daughters, one grandson and four granddaughters who keep him busy. Now a widower, his interests range from music, food, reading through to bowls, both indoors and outdoors. 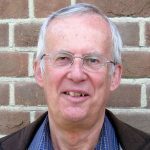 He is involved in mid-week teaching and various roles leading Sunday worship. Richard works for the National Blood Service, and became a Christian in his teenage years at a church youth group. He joined the Stewards team in 2014, and also looks after the church website. 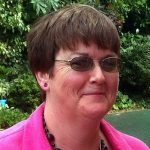 Having moved to Billericay 21 years ago, Pam became involved in the life of Billericay Methodist church in many different ways, and is currently serving her second term as a steward. She is married to Tom, a retired accountant, and they have been blessed with two sons and 4 adorable grandchildren. Her other commitments include supporting many charitable organisations, working alongside husband Tom and singing in various choirs.